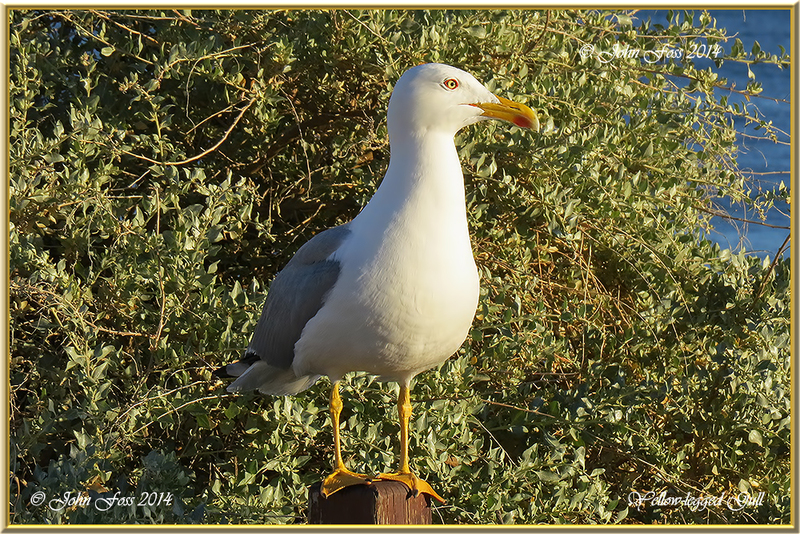 Yellow-legged Gull - The Yellow-legged gulls breeding range is centred around the Mediterranean Sea. 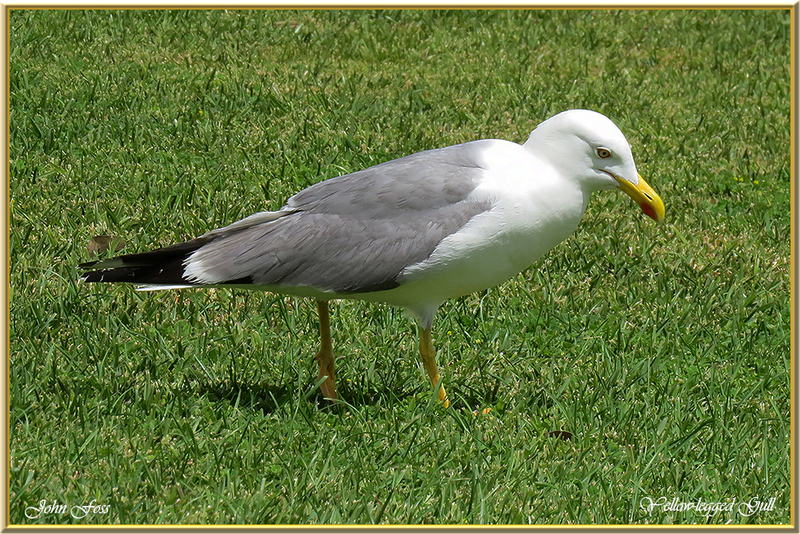 They are very similar to our Herring Gulls but have yellow legs. 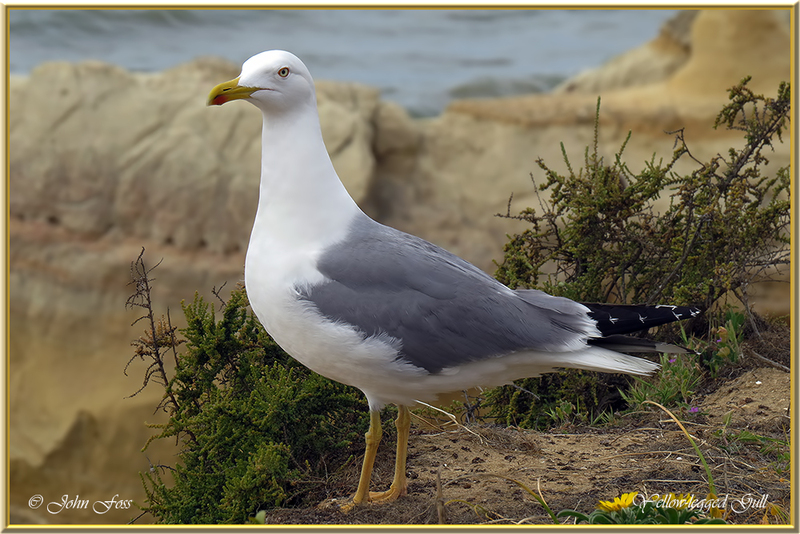 They are scavengers and hunt suitable small prey in fields or on the coast. 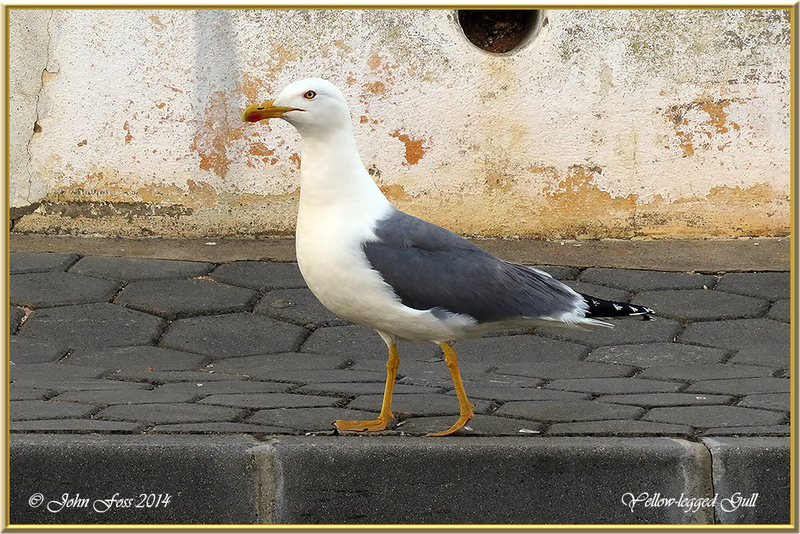 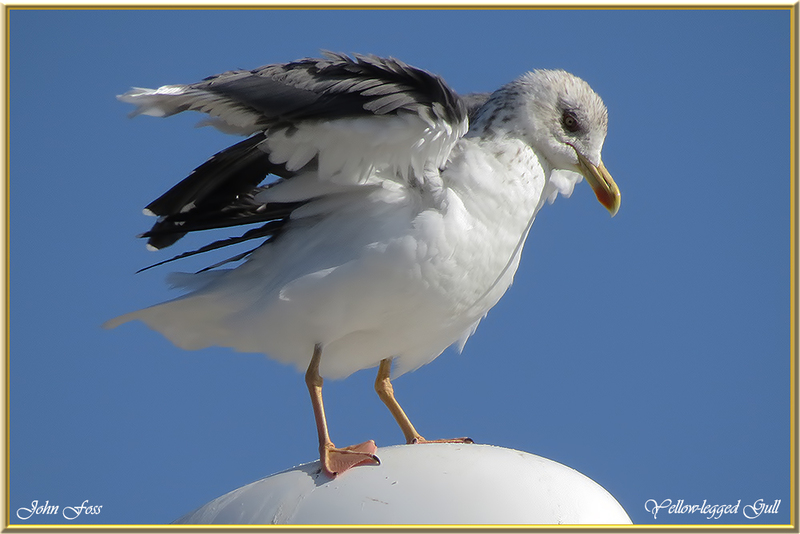 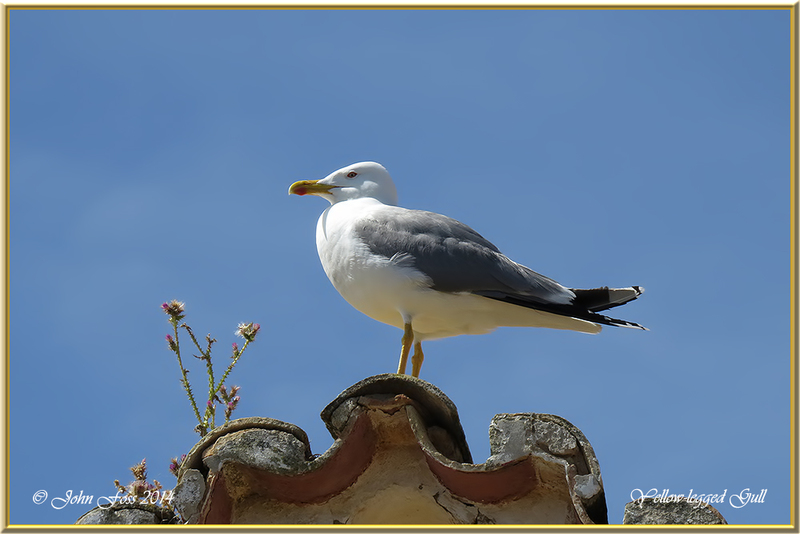 I saw many of these gulls around the Praia Da Rocha and Cabanas areas of Portugal. 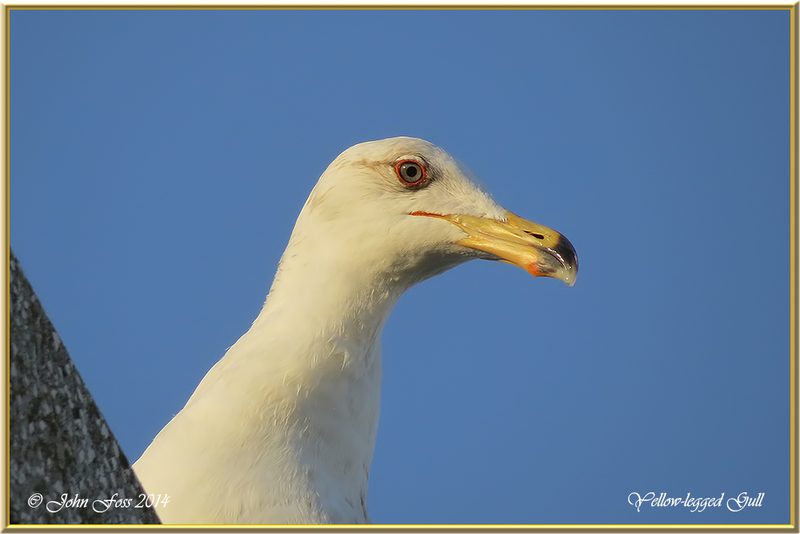 They have become a regular sight in many parts of Southern Britain and rare sightings have been recorded in Ireland.